Secretary of Defense Chuck Hagel said yesterday that he was delighted that President Obama accepted his recommendation to nominate General Joseph F. Dunford Jr. to serve as the 36th Commandant of the Marine Corps. Hagel said Dunford is an extraordinary leader who has always been faithful to his country and his Marines during more than 35 years in uniform. His steady leadership as the Commander of the ISAF in Afghanistan and his commitment to the men and women under his command, have lead progress there and remains on track to responsibly bring America's longest war to an end later this year. 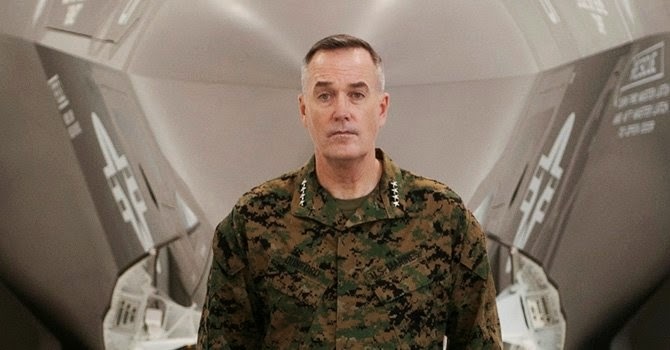 The SecDef said that no one is better suited to write the next chapter in Marine Corps history than Joe Dunford, and he look forward to working with him in his new role upon his confirmation by the U.S. Senate.